Dig pierces the booming $87B US pet industry through our lead product, the Dig App, which allows Dig to connect to the dog-loving community online via the Dig App as well as through localized events and community outreach. Our mission is to utilize the driving forces of love, companionship, and community to provide a warm, open, and thriving environment to support our clients’ journey for romance. Dig’s approach fills current gaps in both the pet tech and online dating spaces. Dig brings human and community elements to both sectors. The intelligent information and data garnered from the Dig App offers valuable opportunities for the pet tech industry, allowing Dig to capitalize on the booming nature of the pet tech industry and leverage the demand for pet-related data. 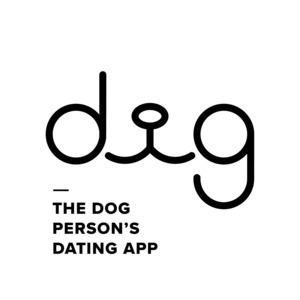 Dig Dates, Inc (“Dig”), has developed a dating app that connects dog-people based on what is important to them: their need for their future significant other to be compatible with their four-legged companion and the lifestyle of being a dog owner or lover. A successful match signifies a valuable and important moment in the dog's life when it may go from one owner to two, doubling possible household resources, time, and love for the dog. Dig is free for users. Companies pay to sponsor features on the app and for vendor space at Dig events. Dig executes co-promotional campaigns with companies and pet rescue groups. As Dig grows, we plan to offer optional paid subscription tiers to users with additional features. We've formed partnerships with brands interested in entering the dog space such as WeWork, who, as our events partners, gives Dig their space, beer, access to their community, staff, and more for free for Dig to host launch events across the country such as this one in Boston in July: https://vimeo.com/281889512. Dig is using the dog lifestyle information garnered from the app to improve user experience by building stronger matching algorithms, which leads to more success stories for dog lovers on the app and beyond. The Dig team is lead by Leigh, Casey and Keith Isaacson. Leigh is the implementer, Casey is the visionary, and Keith has the experience. Together, they have years of management, communications, art direction and start-up experience. Leigh’s background is in TV News Reporting, nonprofit management, and homeland security studies. Casey has years of experience as an art director with major advertising agencies, and she is extremely talented in design. Casey designs the app itself and all of Dig’s advertising. Keith has founded five medical startups with two exits. Dig's tech team is lead by Charles Feinn, a developer with a background in neuro and behavioral science and entrepreneurship. Dig also has an important team of extraordinary advisors and talented interns. Dig has active advisors and investors in marketing, who have held roles such as the global head of marketing for Vistaprint and VP of Marketing and Analytics for AT&T. We have strong advisors with CTO, corporate development, and fundraising expertise. We also have advisors at corporations in the pet tech space and leaders in the online dating world. Dig has interns in data science and machine learning, sales and marketing, and in content creation and distribution.